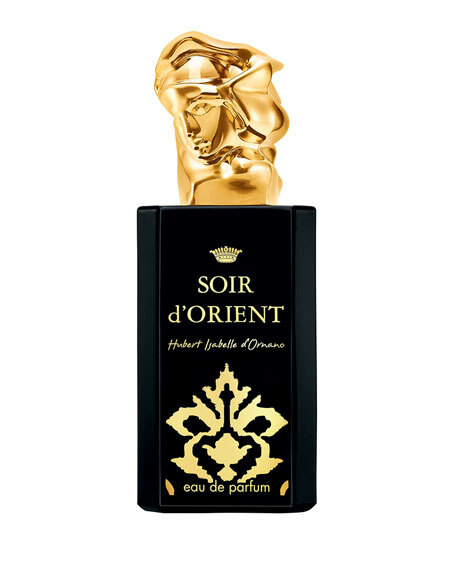 Sisley-Paris Soir d'Orient Eau de Parfum, 98 mL/ 3.3 oz. Sisley-ParisSoir d'Orient Eau de Parfum, 98 mL/ 3.3 oz. A variation of Eau de Soir, it envelops in the distinctive, almost magical, atmosphere of an oriental palace, suggesting a fragrance veiled in mystery which exalts a radiant, enigmatic sensuality. Bottega Veneta, the first fragrance for women. Intriguing. Feminine. Sensuous. A complex and abstract mix of raw materials woven harmoniously.